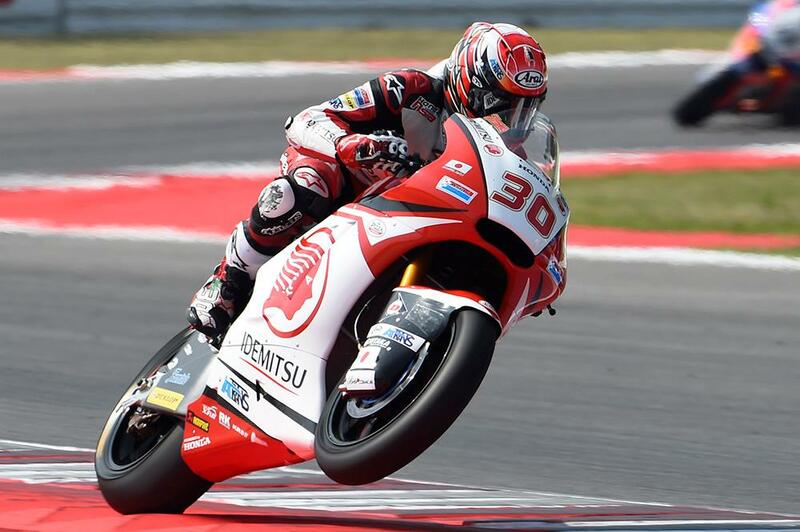 Takaaki Nakagami has topped the opening day of Moto2 action at Motorland Aragon, finishing the day a mere 0.065 ahead of Sam Lowes as the Brit looks to get his season back on track after a difficult few rounds. Lowes was one of a handful of riders not to improve his free practice one time in the afternoon’s session on a cool track, instead finishing only 0.02 ahead of his free practice two time at the end of the day. 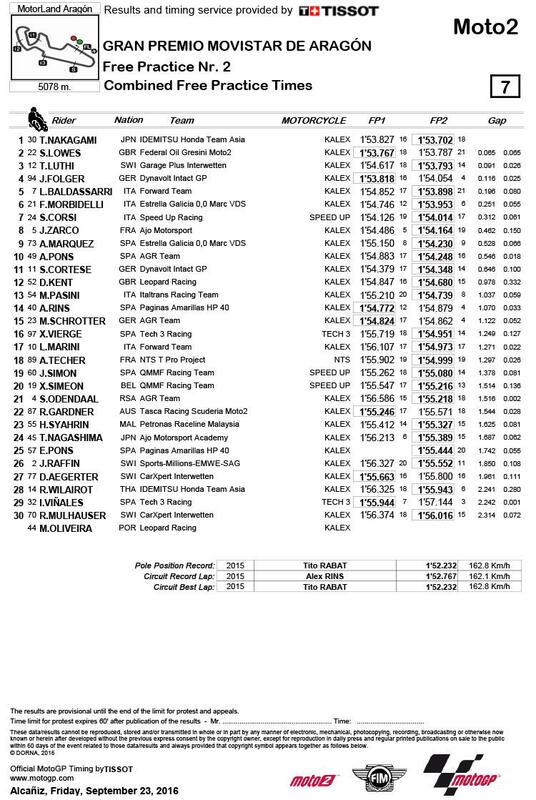 Thomas Luthi was third, a further 0.091 back on Lowes, with Jonas Folger, Misano winner Lorenzo Baldassarri and Franco Morbidelli rounding out the top six. It was a more difficult day for the title contenders, however, with Johann Zarco eighth and local favourite Alex Rins back in 14th, over a second off the pace. Reigning Moto3 world champion Danny Kent was 12th.